Calum began his youth career with Ipswich Town and Southend United before joining English Premiership side Tottenham Hotspur in June 2007 at the age of 16. A regular in the Under 18 and Under 21 teams during his four years with Spurs, Calum never quite made the first team, although he was an un-used substitute for the London clubs UEFA Cup tie with Shaktar Donetsk in February 2009. He later had a two month loan spell at League Two outfit Barnet, before he was released by Spurs at the end of the 2010-11 season. He signed a one year deal with Danish 1st Division club FC Hjørring that summer and after one season he returned to England, where he would sign for Conference South team Hayes & Yeading United. Calum made 35 appearances and scored 3 goals during the 2012-13 season, but left at the end of the campaign. At age 22, Calum arrived in Dundee in the summer of 2013 for a trial with United, and within days manager Jackie McNamara had signed him up on a two year deal. Despite making a handful of appearances at the start of the season, his involvement in the first team dwindled by the turn of the year, and he mostly became a fringe player. A better start to the 2014-15 season saw him earn a place in United's midfield and in March 2015, he collected a Scottish League Cup runners-up medal against Celtic. Injuries ultimately saw him drift in and out of the side once again and upon the expiration of his contract in June, Calum agreed a move to English League Two champions Burton Albion. Has was part of the Burton squad which won promotion from League One to the Championship that season, but after just a year at the Pirelli Stadium he agreed a two-year deal with Millwall in August 2016. He became a regular throughout his first season at The Den, playing as a box-to-box midfielder. After playing in two League Cup matches in August 2017, he was eventually released by the London club at the end of the summer transfer window, and was snapped up by Mansfield Town. He hardly missed a match through to Christmas with the League Two side, but soon found first team opportunities limited. Several League sides were interested in taking him out on loan, however the restrictions on a player appearing for three League clubs in one season meant that Calum had to go to a non-League side for a run of games, and he went on loan to Isthmian League Premier Division leaders Billericay Town until the end of that season. On his return to Mansfield Town, he was back in the first team squad, but again drifted away from the managers plans by December. 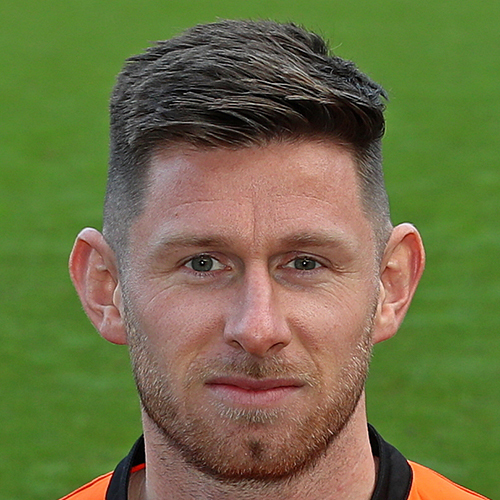 United manager Robbie Neilson brought him back to Tannadice on deadline day of the January 2019 transfer window, with the Essex born midfielder signing an eighteen month contract. Calum was born on this date in Rochford, Essex, England. 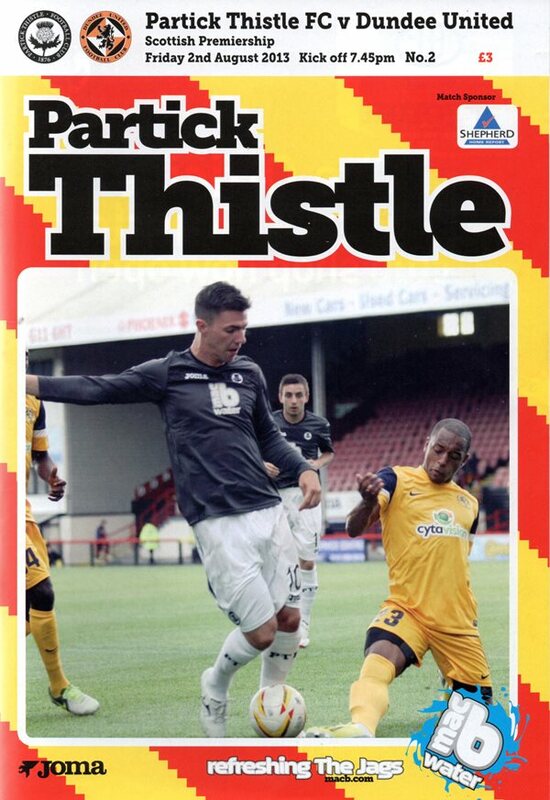 United's opening match of the season took place at Firhill against newly-promoted Partick Thistle, picking up a point in their first ever game under the new SPFL Premiership. There were competitive debuts for six of Jackie McNamara's new signings, as well as a return to league action in a United shirt for David Goodwillie. The kick off time of 7.45pm on a Friday night did not deter a travelling support of almost 3,000 as the Arabs in attendance turned out to back their team. Jackie McNamara named the same starting eleven from the Celtic game for the Tayside derby against St Johnstone at McDiarmid Park. Mackay-Steven and Connolly did return for the visitors, both listed as substitutes. After a four month injury absence, Steven McLean replaced on loan United forward Brian Graham. United took on Ross County in a top of the table clash at Tannadice. United began the game a full eleven points behind their opponents, knowing that nothing less than a win would be required if they still had any pretensions of winning the Championship title.